Image via Commonwealth of Australia, Department of Defence. 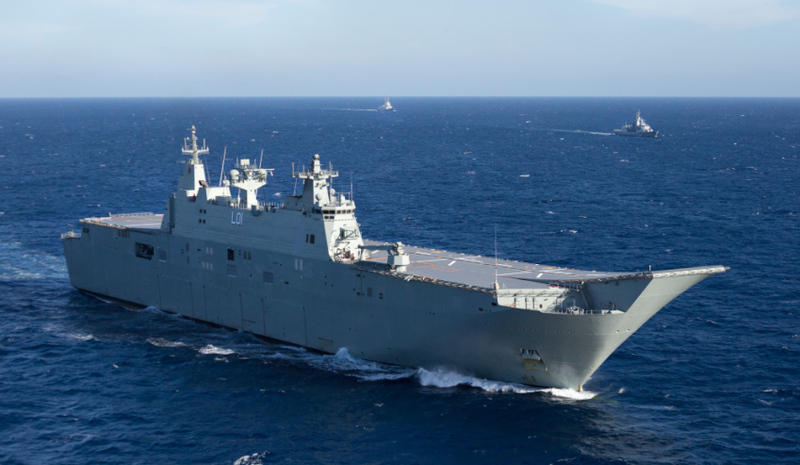 The Australian National Audit Office (ANAO) has issued a scathing report into the government’s $89 billion Naval Shipbuilding Plan, warning of high levels of risk, cost blowouts and schedule delays. The report from the national auditor examined the government's shipbuilding program, which includes the Offshore Patrol Vessels, Future Frigates and Future Submarines projects. While the report found that projects are so far meeting their milestones, it stressed that the projects are at an early stage and there are "high to extreme risks" in the shipbuilding plan. "Key risks relate to the delivery of expected capability, program cost, ability to meet program schedules, and management of the industrial base. The Naval Shipbuilding Plan did not address the management of these risks in any detail," the report said. Of particular concern to the ANAO is the Future Frigates project, which was brought forward by Defence so that prototyping activities could begin in 2020. "Schedule compression presented such extreme risk that cost and schedule over-run was likely, and that to proceed on the current schedule had the potential for severe reputational damage to Defence and the government," the report warned. The intended prototyping activities due to start in 2020 have not been included in Defence’s Integrated Investment Program, the report warned. While Defence advised the Defence Minister that the cost associated with the prototyping will be recovered in the efficiencies gained during the Future Frigate build, the ANAO found that Defence did not conduct any supporting analysis for this advice. The designer and builder of the frigates is yet to be selected, with BAE Systems, Ficantieri and Navantia all in the running. Successful implementation of the overall Naval Shipbuilding Plan will "depend on actively managing the high to extreme levels of risk", the ANAO found, but said Australia's experience in this area, alluding the Air Warfare Destroyer Project, said delivering these projects on time and on budget was "very high expectations". The report found that the Naval Shipbuilding Plan was based off assumptions made when the 2016 Defence White Paper was published, but key factors have since changed, with the Future Submarines now confirmed for construction in Australia and the OPVs and Future Frigates commencing construction earlier than expected. As such, the ANAO has urged Defence to revisit the cost assumptions of the naval shipbuilding projects. "That Defence, in line with a 2015 undertaking to the government, determine the affordability of its 2017 Naval Shipbuilding Plan and related programs and advise the government of the additional funding required to deliver these programs, or the Australian Defence Force capability trade-offs that may need to be considered," the ANAO recommended. But the recommendation has been rejected by Defence. "Defence takes an enterprise approach to its Naval Construction Programs," Defence said in its response to the report. "The shipbuilding provisions identified in the Integrated Investment Program are consolidated to enable government to consider the affordability of the Naval Construction Program as each project is presented to government. "Offsets are recommended to government if there is a shortfall between the funding requirement and existing provision. Consequently, Defence disagrees with the ANAO’s recommendation." Responding to the report, Defence Industry Minister Christopher Pyne told Defence Connect given the scope and size of the Naval Shipbuilding Plan, risk was always inevitable. "Building an Australian shipbuilding and submarine industry is a huge undertaking, it’s a nation building project so of course it contains risk," Minister Pyne said. "It’s been made especially hard by years of inaction under Labor when the industry was allowed to stagnate. "The alternative would be to send the $200 billion of taxpayers money we are spending on the largest build-up of our military capability in our peacetime history overseas, creating jobs and advanced manufacturing opportunities in other countries. "We make no apologies for deciding to invest in Australian-built ships, creating Australian jobs and using Australian steel rather than buying foreign ships off the shelf and using Australian tax dollars to strengthen the defence industries and increase employment and wealth overseas."